This pregnancy is flying by so quickly that sometimes I forget I’m even pregnant. What!? I guess when you’ve got three other loves to wrangle, it happens. 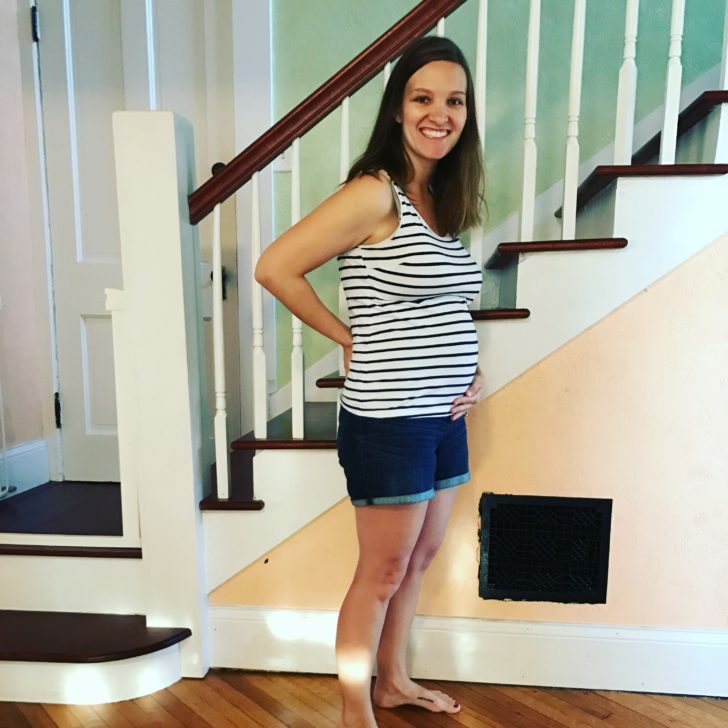 I’ve had a lot of food aversions this pregnancy. I’ve always been more prone to aversions than cravings, but this go-round is the most intense. Shortly after Mr. B was born I went primarily grain-free and have been pretty happy with that lifestyle choice. But of course in this pregnancy all I want is bread. So that’s where I am at. Stuffing my face with copious amounts of bread. I want to care, but mostly I just want to eat something, so I’m dealing with it. This past week my milk supply seems to have ramped up. Just in time for Sweet M and I to get a tummy bug. But beggars can’t be choosers, I suppose. Allergies have been horrid the last few weeks. 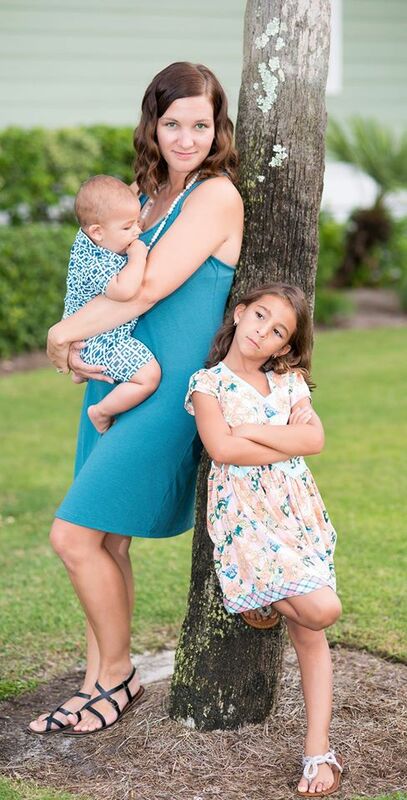 After three kidlets I’m pretty used to having to just deal, but we are way past that right now. Basically I’m in survival mode. But I keep telling myself it can’t last forever. Right? Our sweet baby is growing. She moves like crazy so I know she’s a strong one. But she moves like Miss H and Sweet M did in the womb, so I foresee another vivacious, darling babe. So exhausting. So worth it. This pregnancy has been interesting because we are in limbo. Since we have our babes at home we only see our back up OB 3x – once each semester. And since we will be thousands of miles away living elsewhere before this babe and comes (barring any unforeseeable twists) , my midwife is also thousands of miles away. I’ve also started experiencing the slightest pangs of SPD and am doing everything in my power to help keep that at bay. For me, the SPD I experienced with Sweet M was significantly worse than labor and delivery without question. For the last few months everything hurt: sitting, laying down, standing, walking. I’d move and it would literally feel like my body was being ripped in half. It was fairly monstrous to be honest and I wouldn’t wish it upon anyone. This time I’m on it though. I’m working with someone wonderful with a lot of tools for keeping it in check, and so far it’s really helping. Let’s hope it stays that way! Oh, wanna see that cute bean? We are all ready so in love with that sweet perfection. The heartburn has set in heavy. I can’t even complain though, because it wasn’t intense until now, unlike with the others where it was awful from day 1. But I am sure to still have another mostly bald baby. Of course. 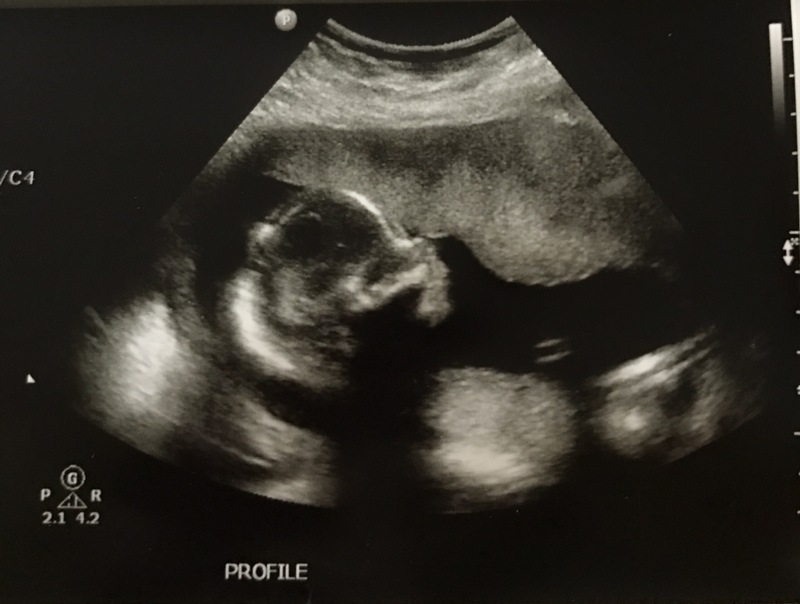 Regardless, she will be here before we know it, and time will certainly move fast as we prepare for our big move! Previous Previous post: Fun Schooling! Next Next post: I dislike the term “best” friend.